Brisbane is a city positioned in Australia. It is an amazing destination to visit because it encompasses so many wonderful points of interest as well as activities that can be enjoyed and remembered for years to come. The Queensland Gallery of Modern Art displays exhibits with attention on art form of the Pacific and also Asia. There are several festivals that occur each year which attract tourists time and time again. The Paniyiri Festival is held for two days every May. It is an enjoyable Greek Festival. The Valley Fiesta offers free live music and runs for three days each year. Additionally, the Caxton Street Seafood and Wine Festival is terrific with fantastic food and drink. Another landmark to view is the Portside Wharf. The Wharf is Brisbane's international cruise terminal. Furthermore, it is a classy residential and business district that contains restaurants, shops, cafe, supermarket, movie compound and plaza. Many of the visitors arrive by way of vessel. Fine food, excellent shopping, and even a cinema, provides a little something to satisfy everyone. City Botanic Gardens is a great place to take a trek to end take in the beautiful view. Don’t miss out on the Lone Pine Koala Sanctuary as it is the world’s first koala sanctuary. Brisbane has a humid, subtropical climate with dry, fairly warm winters and hot humid summers. Because of the wonderful and variety of interesting activities found in this city, Brisbane is a fantastic destination spot to contemplate visiting on your next excursion. Private Tour Jul-14. We are a family of 6 from Malaysia. 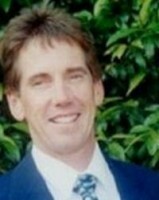 John took us on Gold Coast and Brisbane full-day tours. It wasn't easy taking us on as we have young children, but John did very well. He was patient and adaptable, organising the time and activities to suit our pace so that it will be relaxing and enjoyable for everyone at the end of the day. Our children liked him very much. They described him as "a very kind man". And said that they wanted the same John if they ever went back to Gold Coast again. That spoke volume. Parents would know just what I meant.